Seattle is the Pacific Northwest's largest city, and the United States' fastest-growing major city. We're excited to host our 2014 Economic Leadership Forum here, and hope you can join us! In November, Seattle is rainy with mild winter temperatures, generally in the low to mid 40's (F). Read more about local weather and climate here. Seattle is located between the saltwater Puget Sound (an arm of the Pacific Ocean) to the west and Lake Washington to the east. The city's chief harbor, Elliott Bay, is part of Puget Sound, which makes the city an oceanic port. To the west, beyond Puget Sound, are the Kitsap Peninsula and Olympic Mountains on the Olympic Peninsula; to the east, beyond Lake Washington and the eastside suburbs, are Lake Sammamish and the Cascade Range. Lake Washington's waters flow to Puget Sound through the Lake Washington Ship Canal (consisting of two man-made canals, Lake Union, and the Hiram M. Chittenden Locks at Salmon Bay, ending in Shilshole Bay on Puget Sound. 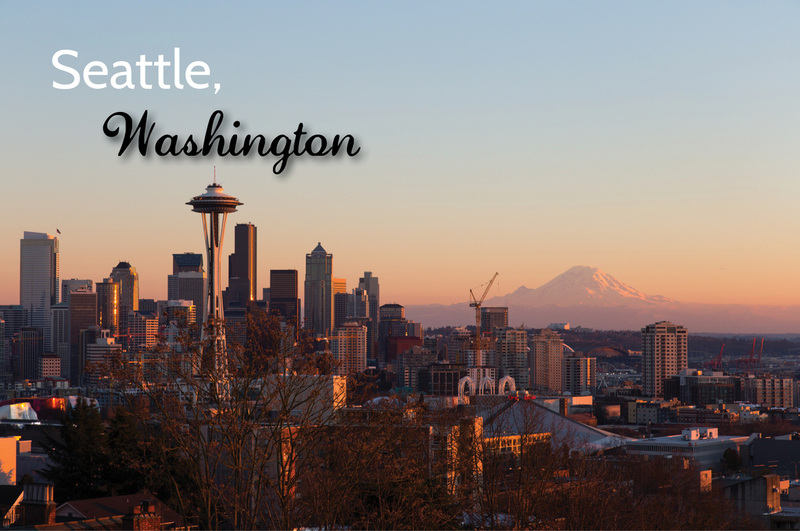 Enjoy Seattle on Friday evening after our light reception from 5:30 to 6:30 at the Hyatt. See below for activity listings and nearby restaurants. Reservations are recommended for downtown restaurants.